I hope everyone had a great break! Teachers will return on January 4th for inservice training. Students will return on Thursday, January 5th for the beginning of the second semester with their new class schedules. INDIANAPOLIS, IN -- The National Interscholastic Athletic Administrators Association (NIAAA) is pleased to announce that Andy Pope, Activity Director at Chadron High School, has been recognized by this association as a Certified Athletic Administrator. To earn this distinction, Mr. Pope has demonstrated the highest level of knowledge and expertise in the field of interscholastic athletic administration. The voluntary certification process included a thorough evaluation of the candidate's educational background, experience and professional contributions, as well as a rigorous, comprehensive written examination. Andy Pope is one of an elite group of interscholastic athletic administrators nationwide to attain this level of professionalism. The NIAAA is a national professional organization consisting of all 50 state athletic administrator associations and more than 10,000 individual members. It is dedicated to promoting the professional growth of high school athletic administrators and preserving the educational nature of interscholastic athletics and the place of these programs in the secondary school curriculum. Thank you to Mrs. Paopao and all of the students and staff that helped create this fun video of CHS! 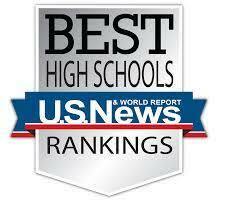 Chadron HS ACT Scores - Highest In Four Years! When looking at this data, an important piece to interpret is the number (or percent) of graduates who have taken an ACT. Again, Nebraska ranks very high with 88% of 2016 graduates that have taken an ACT compared to Eastern states that might have as few as 10-30%. As you can imagine, if a school (or state) has, say 50% of graduates take the ACT, chances are that they are high performing students. Whereas a state like Colorado, that is one of several states where 100% of graduates take the ACT, will typically have a lower overall average. For parents or students specifically interested in ACT preparation, I'd encourage you to visit with our guidance office for materials and to utilize some of the many online test prep materials including the ACT Online Prep. She will receive her Prize directly from the NARD office in Lincoln. Her poster advanced to the National Level competition, so Best of Luck to her! Keep up the extraordinary work, Brenna. You are a very talented individual ! Thanks to the Nebraska Game and Parks and Bird Conservancy of the Rockies for the gift of the Bird Identification Book.